Wed, 24-Apr-2019 - 19:26:53 ---- The fact: 42.844.000 visitors done. Apple applications (apps) which can be used on the iPhone, iPad and iPod Touch are becoming important marketing tools for companies. The first app for the tube industry, called TubeCalc, is now available. For years people have been trying to find an easy way to calculate certain values of a specific industry norm, avoiding the need to have to check various tables. In response, RiesArt initially tried to develop a traditional calculator. This calculator was complicated to make, very expensive and carried a high risk of a critical mistakes being made. Inspired by the functionality of the iPhone, RiesArt in cooperation with Bananas Design, has now successfully developed the TubeCalc app. 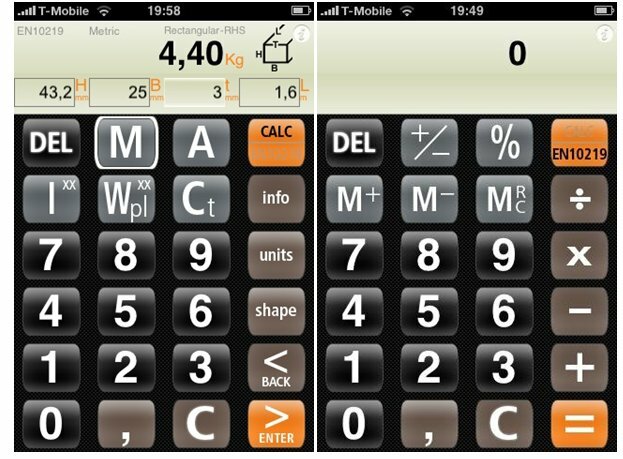 The unique TubeCalc app can be used to calculate important functions of hollow tube sections using the construction industry's European Standard EN10219 norm, while operating at the same time as an ordinary calculator. EN10219 applies to cold formed welded circular, square and rectangular structural hollow sections. TubeCalc allows you to calculate mechanical data such as mass, (superficial) area, moment of inertia, radius of gyration, plastic and elastic modulus and the torsional. For more details please visit www.tubecalculator.com. The iPhone caused a revolution when it was released in the smartphone market three years ago and quickly gained a large market share. The iPad is set to do the same thing in the emerging tablet market. Together with the iPod Touch, there are already more than 100 million devices running the iPhone OS. An important factor of the success of these devices is the App Store, where users can easily download and install applications. Spring 2010, well over 200,0000 apps were already available and application downloads passed the 4 billion mark. TubeCalc can now be found within the App Store. Increasingly companies are discovering apps as a tool to promote their brand or product. An app is a much more interactive experience than traditional marketing methods and can be especially powerful when the unique features of the device, such as the iPhone touch-screen and gps location, are incorporated within an app. While websites are still the dominant form of interaction with customers, apps can offer the same information in a much more interactive and personal form. Hence it is easier for a company to distinguish themselves through an app. Bananas Design & RiesArt anticipate many more apps will be developed for the tube & pipe industry. Apps can be easily and relatively inexpensively designed for numerous functions. 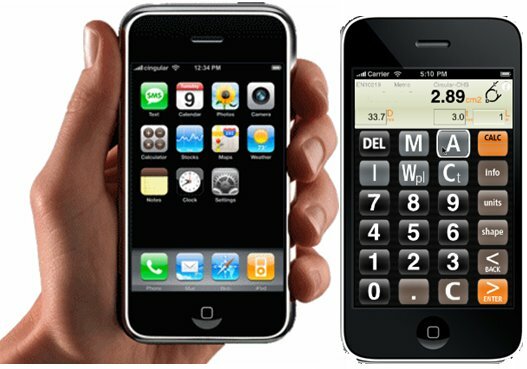 If you would like to know how an app can help your company please contact at us at info@tubecalculator.com.